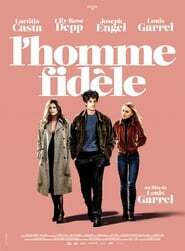 Louis Garrel (The Dreamers, Les Deux Amis) returns to the Toronto International Film festival as director and lead role in a screening of A Faithful Man (L’Homme Fidèle). It’s a classic tale with a modern approach and Garrel proves he has a voice worth listening to. The story surrounds Abel, played by Garrel, a charming Parisian dumbass who finds himself in an ultra-French love triangle. That looks impressive but for the fact that 80 per cent of the total was generated by Peter Rabbit, while Warwick Thornton’s Sweet Country has pocketed Nomis nearly $2 million….